Power & Tel team for “Go Green Day” at Corporate Headquarters, Memphis, TN. In recent years, the communications industry has evolved faster and experienced more phenomenal change than just about any other sector of the business spectrum. Even technologies that were considered cutting edge just two or three years ago have today been eclipsed by faster, better products that continue to streamline our business and professional lives. 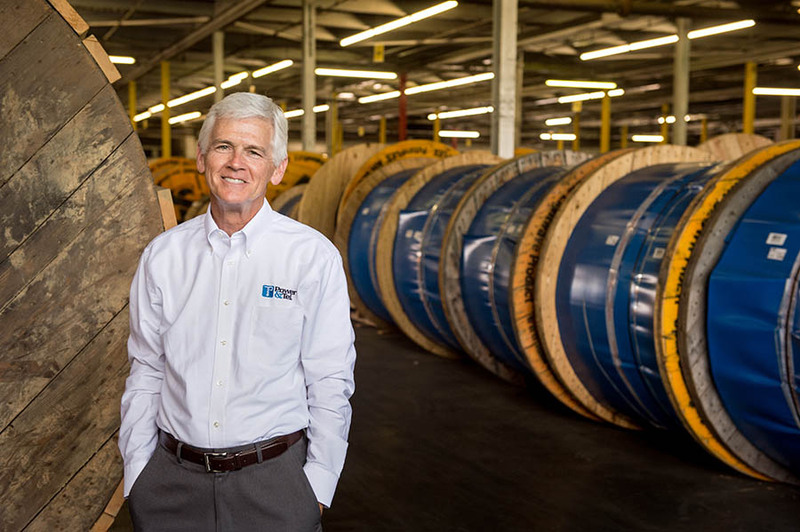 Evolving and keeping abreast of those warp-speed advances in communications technology is a Memphis-based, family owned company that operates with a global footprint. Power & Tel is a name that has become synonymous with competency as an efficient source of products and material logistics to those that build and maintain communications networks. The company serves upwards of 90 percent of all telephone companies in the U.S. today and approximately 4,500 customers around the world. While Power & Tel is headquartered in the Binghamton community of Memphis, the company has an international presence with three distribution centers in Canada and one in Mexico in addition to the ten located coast-to-coast across the U.S.
“We are a global communication distribution company founded in the heart of Memphis that supports a broad base of products in the markets we serve,” stated Jennifer Pentecost Sims, the granddaughter of Power & Tel’s founder and the company’s CEO. “We stock tens of millions of dollars in communications products, representing over 700 different manufacturers. Our industry-leading network of manufacturers and supply of world-class brands and products are always reliable, top quality, and cost-effective. 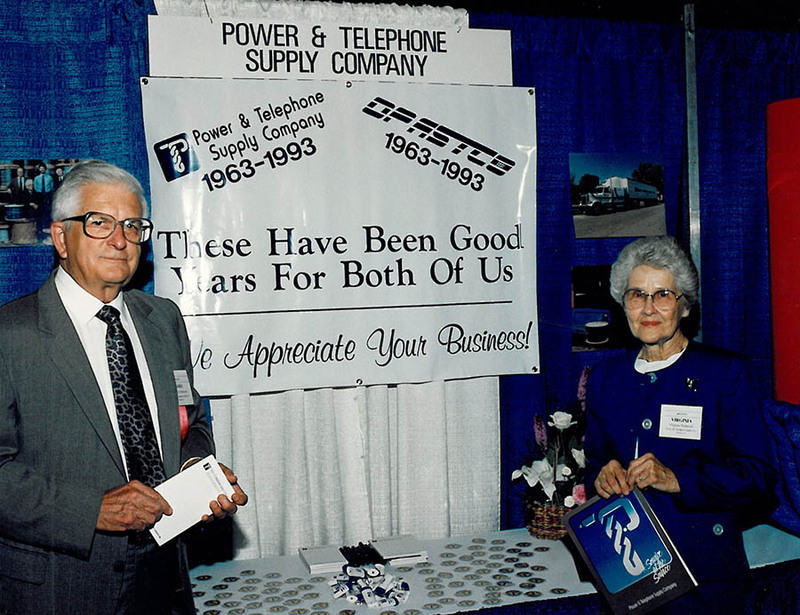 Miller & Virginia Pentecost, Power & Tel’s 30th Anniversary, 1993, Memphis, TN. Miller Pentecost had just been discharged from service in the Army in 1946 when he took a job with an electrical company in Jackson, Mississippi. When his wife, Virginia, informed him that their family of two children was about to double with the expected arrival of twins, Miller accepted a sales job with Graybar Electric and moved the family to Memphis. The new company quickly became known as a reliable source for tools and other products contractors needed to save both time and money in completing their projects on time. Pentecost and his team did this by developing relationships with manufacturers that saw the benefit of having a sales partner that could help them eliminate or reduce their storage costs and align their product roadmaps to the customer projects and future outlook/demand forecasts. Pentecost’s son, Jim, later joined the business and today serves as the company’s Chairman. The third generation of the family to follow in their footsteps is Jennifer Pentecost Sims, who serves as CEO. Other family members are also involved in the day-to-day business of Power & Tel and serve on the Board. 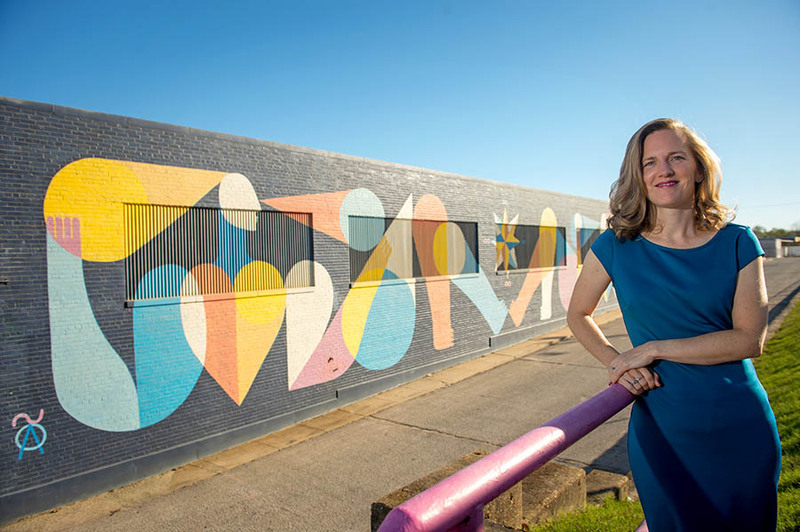 Jennifer Pentecost Sims, CEO of Power & Tel, in front of Memphis Cable Center, Binghampton, Memphis, TN. Power & Tel celebrates their 55th anniversary in 2018. Looking back on their over a half-century of service to the communications industry, Sims and her team of professionals, 165 of whom are in the Memphis headquarters, take great pride in their many awards and honors. Power & Tel was ranked 25th on the Memphis Business Journal’s list of the “Fastest Growing Memphis-Based Large Private Companies.” That same publication recognized Sims as one of its “2016 Super Women in Business.” Other awards include the FedEx Technology Award, the Telecom Measurement System TL 9000 Award, Alpha Technologies’ International Distributor of the Decade, and CommScope’s Distributor of the Year. Power & Tel also received a Patriotic Employer Award from the Office of the Secretary of Defense. The company is also justifiably proud of its philanthropic initiatives that have improved the lives of people in the region. Power & Tel’s founder, Miller Pentecost, believed in philanthropy and wanted his company to play a part in helping its employees give back to the community. 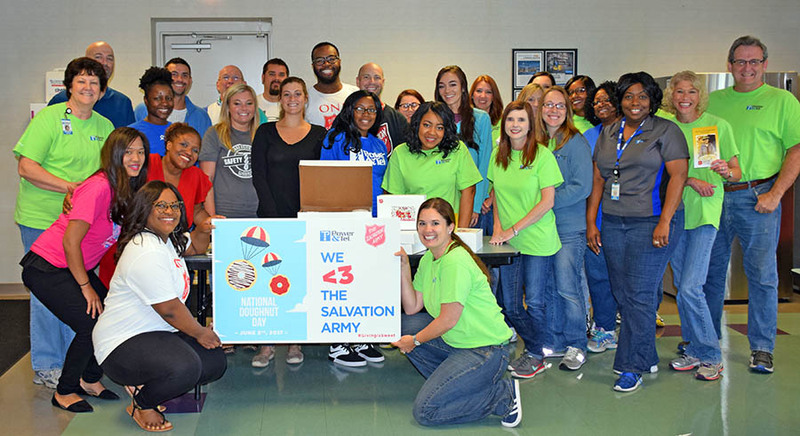 Power & Tel team members, June 2nd, 2017, in support of The Salvation Army. During his own time at the helm of Power & Tel, Jim Pentecost created an innovative matching fund managed today by the Community Foundation of Greater Memphis. That fund has donated millions of dollars to deserving non-profits designated by Power & Tel’s employees. A scholarship fund dedicated to Miller and Virginia Pentecost also assists students pursuing a college education.